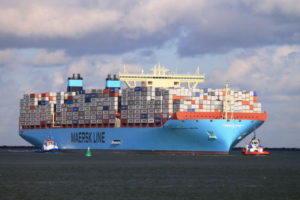 Maersk Line notified customers of the impossibility of carrying cargo between Qatar and the UAE, Saudi Arabia, Bahrain and Egypt, including transshipment, in connection with the sanctions imposed by Arab countries against the emirate. 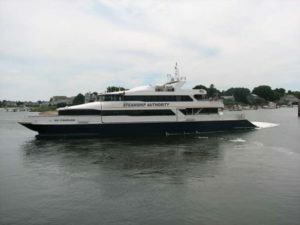 The carrier has completely suspended the booking of traffic since June 6 and expects to offer alternative shipping routes within a few days. The Qatar’s foreign trade is carried out mainly through the major ports of neighboring countries, primarily through the port of Jebel Ali in the United Arab Emirates, as large modern vessels can not enter the relatively shallow ports of the emirate. In connection with the sanctions, the operator of the Jebel Ali port, DP World, forbade vessels under the flag of Qatar to enter the port. However, the ban will not apply to calls of international lines. “The cargoes on board of these ships, intended for delivery to Qatar, can not be unloaded in the ports of the UAE, but for these vessels the calls to the port will not be banned”, said DP World in statement. Saudi Arabia, Egypt, the UAE and Bahrain on Monday announced the braking off all trade and diplomatic relations with Qatar, closed their airspace, banned the transfer of goods to/from Qatar in their ports. Saudi Arabia also closed the land border.